It’s kind of magical when art and fashion meet. 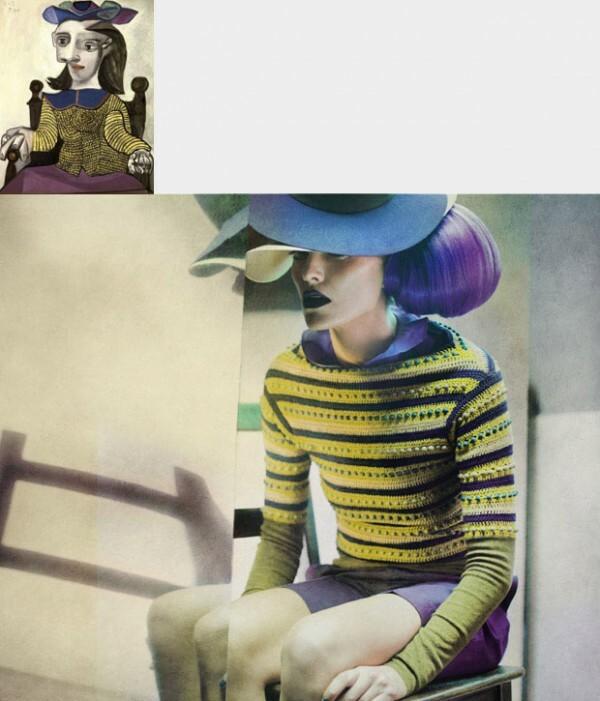 Eugenio Recuenco created a quite original, quirky fashion story as an homage to Picasso’s work. He directly references a number of paintings, including one of my personal favorites “Pierreuse with her hand on her shoulder” (the lady in red).